Los Jardines de M�xico Photographs by Janelle Lynch Published by Radius Books, 2011. Los Jardines de M�xico is a meticulously crafted book, with every aspect of its production � from the choice of paper stock through to the finishing on the page and the choice of image printed on its endpapers � calculated to facilitate and enhance your experience of the work contained within. This care over the details of the bookmaking is particularly fitting, as Janelle Lynch uses photography to conjure up a very particular and rarefied world � she cultivates an atmosphere that you can�t help but think would suffer in less sympathetic conditions. The particular quality of Lynch's work can be felt most intensely in the fourth and final series presented in this book: La Fosa Com�n. Here, 11 full-page images are arranged, one per spread, on large, glossy leaves of paper, beginning with Untitled 8 � a photograph of one, spreading, moss-encrusted tree, whose branches reach round and through each other and out of the frame into the surrounding foliage. Like all of the images in this series, the photograph is visually complex, the frame crammed with textural information, and, as with all of the works in the series, the subject is plant life, to the exclusion of all else - no animals, humans or signs of human civilization intrude upon the tangle of bushes, grasses and trees. The effect is claustrophobic and not a little repetitive, but also decidedly, intensely, eerie and otherworldly. The combination of abundant foliage with a lack of any other visual reference � even the sky is obscured � and Lynch's frequent use of soft, misty lighting conditions gives you the impression of stepping into a science fiction novel in which humans have receded and plants reclaimed the surface of the earth. Los Jardines de M�xico, by Janelle Lynch. Published by Radius Books, 2011. This sense of animism and almost threatening fecundity is picked up by author and architect Jos� Antonio Aldrete Haas in his essay for Los Jardines. He argues that Lynch's photography is informed by the notion that life and death are not separate but continuous and 'of the same reality,' and points to another series � there are four presented in this book, made by Lynch between 2002 and 2007 � to illustrate his point. Akna (translated by Aldrete-Haas from the Mayan as 'mother') is a series of portraits of individual tree stumps. These remains � dead or decaying matter appears throughout the book - are in fact now burgeoning with life, each of them sustaining communities of smaller plants and grasses. They are even given names by the photographer, 'Vladimir' and 'Albertina,' to go with the focused, individualizing portrait style of her photography in the work. Loss, through violence or through simple neglect and decay, is another theme of the book, drawn out by author Mario Bellat�n in the fictional element he contributes. 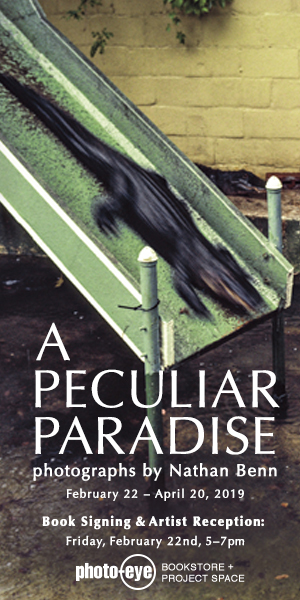 The fact that Bellat�n's short story deals with the death of a child gives Lynch's work in the series El Jard�n de Juegos added resonance, as it is the abandoned pieces of playground furniture in the overgrown parks photographed here that give them their special sense of stillness and absence. Again, this lack of human presence is made conspicuous by the way Lynch arranges her photographs, emphasizing the anthropomorphic qualities of slides, climbing frames and basketball hoops to somehow evoke the playfulness and liveliness that is now only present in this space as a kind of haunting.